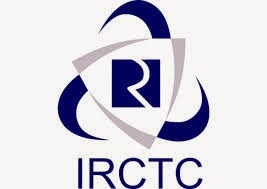 IRCTC one of the giant e-commerce of Asia is making millions or can say billions of Rupees may be because of its high demand in India (The second most populated Country of World till now). Despite being a slow and ir-responsive website its is used daily by lakhs of Indians because they have no other option other than travelling by trains. Bad roads and lack of security are main reasons. Also, the railway provides less facility and less seats to travel. Railway sector has a great share of showing bad side of India to tourist. In spite of the fact that they charge more than normal for tickets their facilities are worst. Railway sector makes crores of profit yearly but never thinks to improve its infrastructure, introducing new and latest technology trains and of course the condition of stations. Though the site has earned the medal of top e-commerce site but it is still too bad at providing online facilities even. 60% to 80% of public using IRCTC to book ticket online get errors like service unavailable, multiple login, session timeout, and sometimes payment gets done but ticket does not. This enables the thugs and agents to leech innocent passengers' money. Middlemen on the railway stations and near ticket booking widows are a common site. Time and again it has been brought to the notice of authorities that such people should be blocked access to railway stations and discouraged by imposing heavy penalties on them if found indulging in such activities. But authorities are yet to come to the terms and accept their fault. With lots of agents and IRCTC Login problems people usually are unable to book tatkal tickets but agents who are not allowed to book tickets at the tatkal starting time get the tickets for you. Have you ever thought how do they do it? How they manage to book tickets? You will obviously say that its their daily work and they know the best and also have software which let them book fast. Well, I would agree with only one of your point that is their daily work but not the software. It is true that once a software worked and let some agents who paid for the software to book tatkal tickets before tatkal time but I R C T C has overcome this error and software trick. That software costs around Rs.70,000/- according to some newspaper I read. Mozilla Firefox - it is web browser like internet explorer and can be downloaded from here. 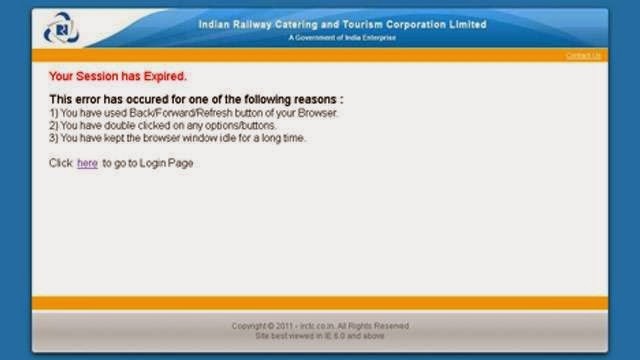 Multiple IRCTC accounts / IDs, though this is illegal but they take the risk. I would not suggest you go for multiple accounts though because unlike agents you are concerned about your own ticket or your relatives and friends and your genuine account is sufficient for this purpose. Two or three internet connections. Usually they have one broadband and one or two Net Setter (eg. reliance net or tata docomo dongle photon). For you a good broadband connection will be enough to book a ticket under tatkal scheme. Auto form Fill Scripts (very important factor in booking a tatkall ticket nowadays). You can refer to my post which is in hindi for this purpose. So the next point is what is the procedure or steps needed to follow? The steps are too easy and even you can do it easily if followed correctly. I have written the steps that you needs to follow for tatkal booking. Follow the navigation on the right side of the page to read it. तत्काल टिकट कैसे बुक करें?